Rosalie Bingham is a woman on a mission. The Las Vegas entrepreneur has seen a problem — casino waste — and wants to turn it into an opportunity: clean power. The engine for this transformation would be something she calls “the Green Machine.” Technically, what it is in an anaerobic-digestion system. The concept of anaerobic digestion is hardly new. It is defined as “a collection of processes by which microorganisms break down biodegradable material in the absence of oxygen.” The Assyrians of tenth century B.C. used biogas to warm up their bathwater. The first “green machine” was built by British colonials in Bombay, in 1859. Perhaps distrusting the safety of the machine, they built it on the grounds of a leper colony. Fast-forward to the twenty-first century and Las Vegas casinos have more waste than they can handle, let alone recycle. So it goes into the landfill. Bingham explains how — in tandem with space-efficient vertical farms, which are exactly what they sound like — a cycle can be created whereby casino waste goes into the Green Machine, and emerges as gas to power buses and heat buildings, or as water to irrigate those vertical farms. It’s early days yet for the Green Machine but it shows more promise than just dumping waste product in a landfill. What's your family’s history in Nevada? I’m a fourth-generation Nevadan, born and raised in Las Vegas, and I come from a generation of prosperity that has been involved in politics most of their life. They never turned their nose up to something that was a daunting task. They squared back their shoulders and said, ‘Let’s get it done.’ So I have been blessed and cursed at the same time to have that attitude that nothing is too big to conquer if it’s for the right reason. I come from a very grounded and supportive family, and I’m very rooted to Las Vegas and Nevada. I lived in Las Vegas all of my life but for 10 years I moved up to Lake Tahoe, raised my kids up there and just recently came back to Las Vegas and realized we have a really big problem here. Self-reliance is one of my passions, so when I came across this technology about anaerobic digestion I thought, ‘This is such a perfect fit’ because it solves such a huge problem, with 44 million tourists generating so much waste that is just thrown into the landfill. 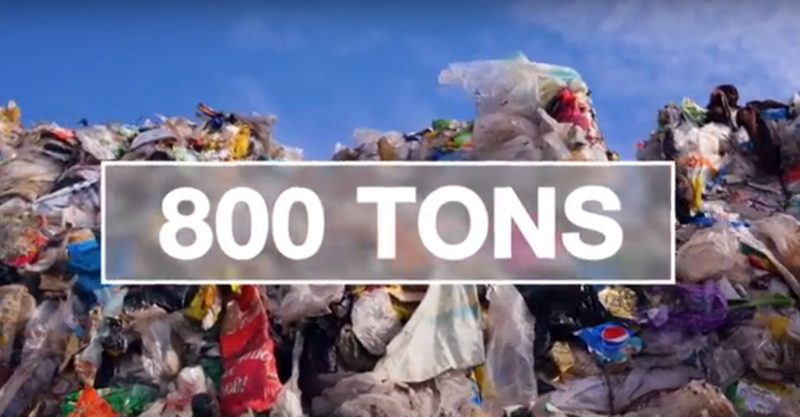 Our landfill is the largest in the nation and second in the world to Mexico City. We have a big landfill problem here and I’m just trying to help to do my part to help create cleaner air, sustainable energy. As we work alongside each other it will help build hope and benefit to all. We can start to have more compassion for each other and collaboration toward the greater good. What led you to gravitate toward science? First of all, science is my background as far as education goes. Science is truth and science is proof where we can evolve to higher thinking. I’m a person that wants to ask a lot of questions and make sure that it makes sense, and science makes sense to me. You were twice named the Silver State Industrial Hemp Grower of the Year. Can Nevada make this a cash crop? Industrial hemp is an amazing plant that is regenerative. That’s why I’m so excited about it because there is no waste that I have found. Everything in that industrial hemp, from the root to the fibre to the oxygen that it creates … even when it’s decomposing it repairs damage. We can utilize every component of that plant and it’s exceptionally strong, and the benefit is so far-reaching that I only have a little tip of the iceberg of information about it because it’s so new to me, and I'm learning many times over that there’s much better farmers, much better crops out there just keep getting bigger and better. So I am just excited to be involved in this industry as well. What led you to turn your focus toward anaerobic digestive systems? Several reasons. One, it solves a great concern of mine because we have this food waste and this can utilize the problem. And anaerobic digestion is easy for me to understand because it’s basically a cow’s stomach made out of concrete. My family are ranchers. My grandfather had a cattle ranch. I’m very familiar with the processes of that, so it makes sense to me that we could trap this [methane] gas and utilize it. There’s a value to when we’re using it appropriately to power our cars and light up our buildings. Can you explain these digestion systems in layman’s terms? That’s the only way I can explain it because I am not a technical person at all. I understand a little about the concept, how it can be dangerous, but I have people that are very skilled. 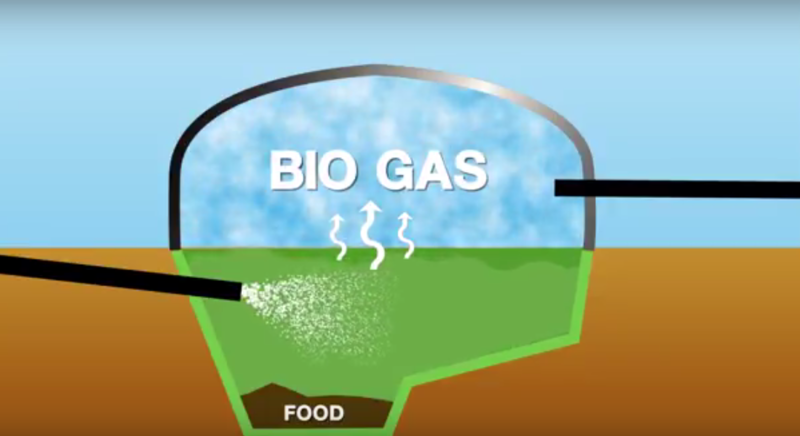 It’s basically you take food or organic waste that doesn’t need to be decomposed, stick into a closed system — the concrete stomach — we add a little microbe, some heat and some air, so we circulate it, which increases the decomposing of the food, which increases gas. The gas elevates into these bladders, which expand like a balloon. We take that gas, we scrub it and put it into the pipeline, and it can either go into a gas pipeline or we can convert it — using generators — into electricity. These systems have a long history, dating back to ancient times. Do you have a new wrinkle on them? No, what works in the past is what works in the future. The only difference is we’re going to use some of this energy and the effluent to grow food for our valley. So instead of having it go strictly to power, we’re going to be using some of that to create a self-reliant community. What is the Green Machine and what does it do? The Green Machine is the anaerobic digester and we dubbed it the Green Machine. It’s a little bit easier term to use and it describes what it does. 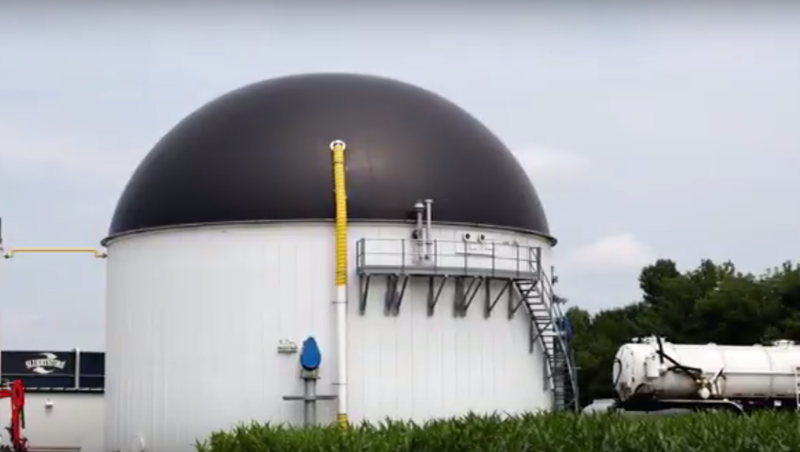 It is attached to food waste and will generate power, and it’s a perpetual power machine: For as long as people eat and animals poop, this anaerobic digester will create renewable, clean gas for us. How do you convert trash to water and is it potable? Let me say yes and no. Seventy percent of all food is water, if you were to look at it molecularly. As it decomposes, it becomes mostly water but, no, you cannot drink it without treating it directly. We could take it and convert it, and I’ve seen other systems that actually take human waste and it can be converted and scrubbed — it’s a long, long process, not something that’s simply done — but you can take it and it will become potable. I have not tasted it myself but I have people that verified to me that they have eaten the food that has been generated from the waste and they have drunk the water that has been treated, and they said it’s amazing how it tastes. 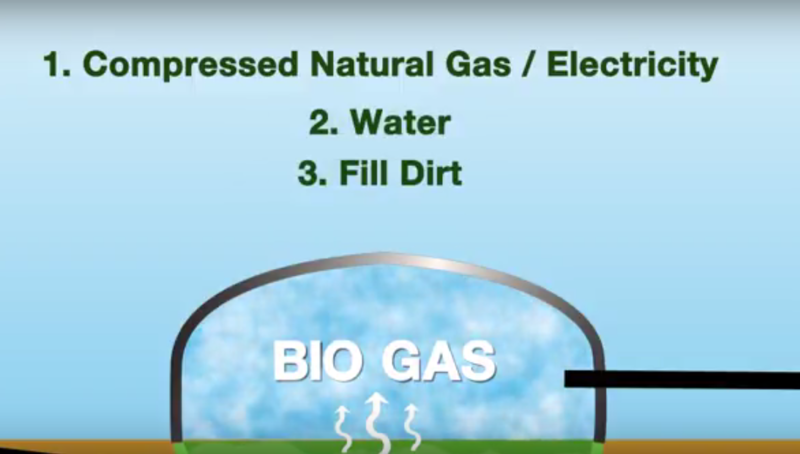 Do you plan on producing and selling biogas? That’s what we would be doing. It’s called compressed natural gas. Let’s be clear that’s what we’d be using. That’s what we would be producing for the bus systems and Southwest Gas. They’re very inspired and encouraged by us because we want to see this move forward, both of our companies. Aside from waste food, what sort of products will feed the Green Machine? Livestock yards, so that’s manure. A lot that we would put in the digester is the stuff that a pig or animals wouldn’t eat. We want the sludge that really nobody else wants. We have a place for it that makes sense, that creates abundance for everyone. 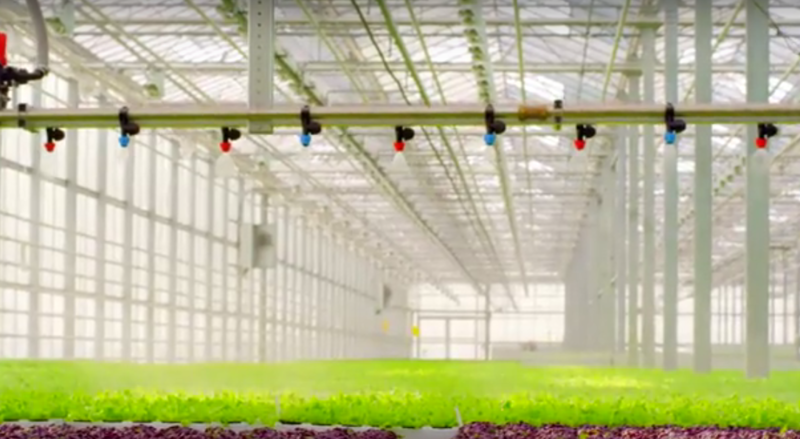 What are vertical farms? The Green Machine seems to be predicated on them. They’re not predicated, they’re associated. They are utilizing the byproduct that comes from the digester, this sludgy fertilizer that makes plants in hog heaven. They love it. The plants really benefit from using this fertilizer that comes from the anaerobic digester. There’s really no waste: We use every component and the same thing with the industrial hemp — this is why we like these projects because we think we can utilize our waste and not waste our waste. 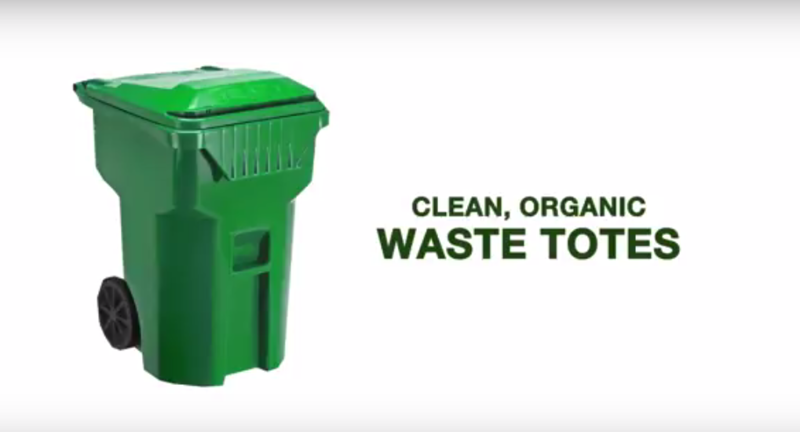 How much of Las Vegas’ current waste output could the Green Machine accommodate? We could utilize all of the organic trash. If we could acquire and it made economic sense. There’s a lot that we could do and it’s for the greater good but it doesn’t make economic sense, so we have to look at things that [do] which would be large food wasters, which would be prison systems, hospitals, the casinos, the conventions. All of that makes sense. It doesn’t make economic sense to take a homeowners’ association and have a composting bucket at the end of the street where everybody, when they go to pick up their mail, deposits their compost. What we don’t want to do is start something that can’t sustain itself. I’ve not solved the problem. If it’s got to constantly be subsidized then I’m not happy. I don’t want this to be a long-term subsidized program. I just want to be subsidized maybe at the very beginning, to get it started, and then once it’s started it can maintain itself. Have you had any signs of interest from companies in the casino industry? Yes. Many that I’ve spoken with. The only problem that it causes, the only concern would be is there’s a premium for clean energy, just like wind and solar. They both started off with a premium. They grew and became more mainstream. That premium went down. So of course at the beginning of these solutions it’s difficult to get people to get excited about a premium because they don’t see that it’s going to make sense to them to have to pay for it. But when you share that cost among many people — and that’s part of my quest here — I would donate 25 percent of my profit from those vertical farms to help offset that premium, because that’s how much I believe in this project. I’m willing to do my share as well. This has been a service project for me. Even though it makes economic sense, this is something I came out of retirement for. I’m behind this project because it makes sense for everybody to benefit from waste and I am willing to do my part but I need help to accomplish this task. I can do most of it on my own but it’s a daunting task, so if anyone can get involved to help that’s where I am asking for public support to get behind this, so we can actually make a difference and create a solution that benefits us all. What about NV Energy? Have they shown any interest in this? I’ve spoken with them. They have a green-rider program and we would just need to qualify to have what they call a ‘qualified facility’ — mandated federal regulations that we would have to comply with — but anaerobic-digester companies that have done this have no problem getting those qualifications. So yes, they’re involved. Southwest Gas is a little bit more excited about it because the gas is so much easier to get than the electricity, because electricity has to be converted from gas. 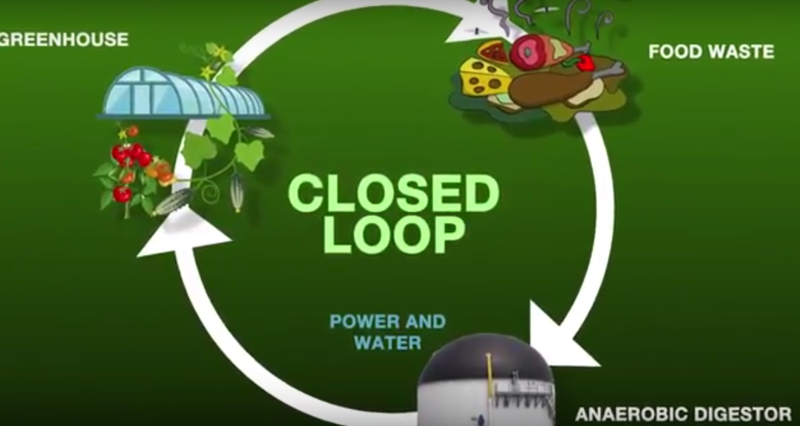 Can anaerobic-digester systems realistically make Las Vegas energy independent? No, not on their own. Between wind, solar and the anaerobic-digester systems and things that I’m aware of that are starting to happen, yes, we can look forward to a completely energy-independent city in the desert, if we were all to get involved in these solutions. Unless otherwise stated, articles appearing in this publication remain the copyright of the publisher ACE Publishing Limited and may not be reproduced in any form without the publisher’s written consent.